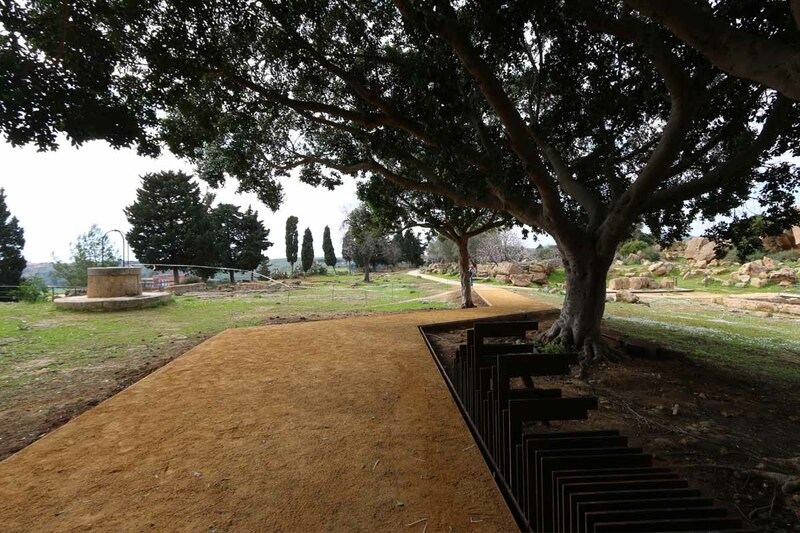 The walkway is designed as sculptural element which is integrated with the enchanting environment of the Valley of the Temples in Agrigento, it establishes a sort of dialogue with the valley which is inspired by the landscape and architectural features of the area. 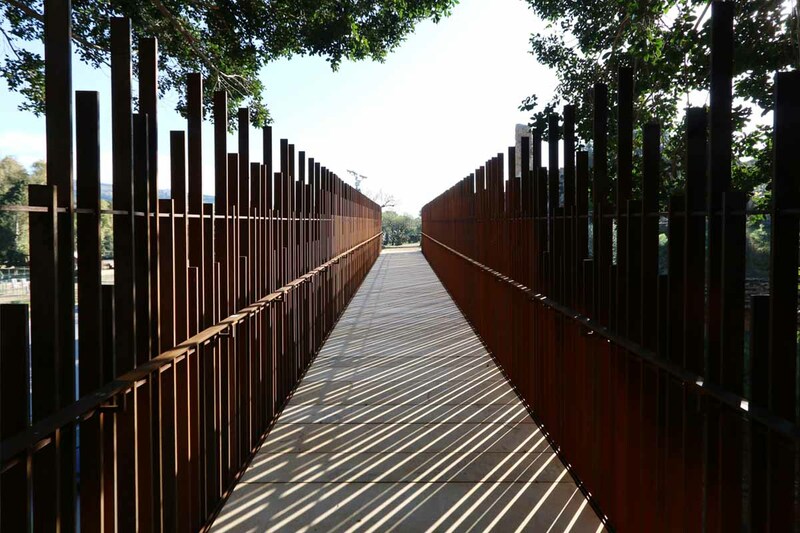 The main purpose of the pedestrian walkway is to restore unity to the path of the archaeological park which is divided by the crossing of the 118 highway ; and to allow a safe use of the park giving the visitor the perception of this as a unique and organic element. The romantic aspect of the ruins, the concept of non-finished which these evoque, the anastylosis restoration interventions performed over the years, led to an image of the Valley of the Temples characterized by elements of different heights and sizes, different expressive and formal modules. The different heights of the columns of the nearby temple of Heracles were transfigured and architecturally reinterpreted in the walkway, in a dynamic sequence of vertical elements of different heights which generates a shimmering, producing an effect of transparency, of dematerialization, of anti-tectonic. 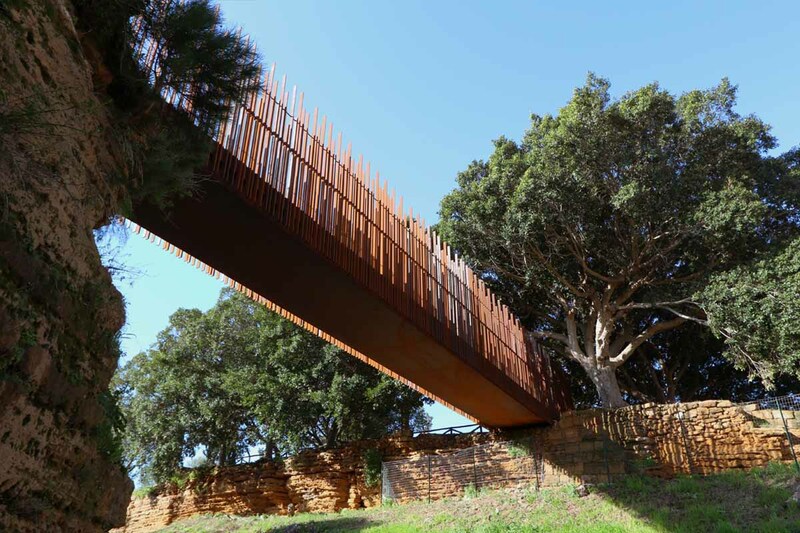 The walkway is planned entirely of Corten steel, a material characterized by differences in color, opacity and variability, similar to natural elements such as wood, integrating the project with the landscape. The structure consists of an alveolar section box tapered at both ends and side shields composed of bars of different heights, arranged in modular distances. 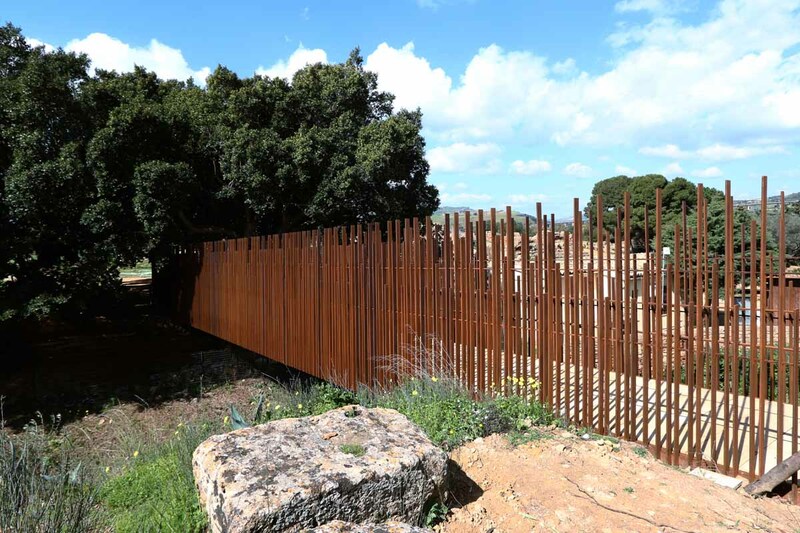 The logistics related to the realization of the work requires containment operations in situ, because of the particular archaeological context and the interferences with the traffic flow and the access. To meet this need the walkway has been entirely precast then transported and put on place on pre arranged support points of the structure.